We are very pleased to welcome Dr Marie Dawson who recently joined our team of GPs. 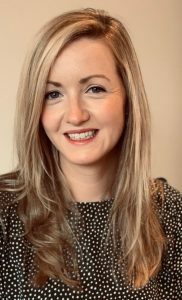 Marie studied Medicine at Cardiff University in Wales and then qualified as a GP from the Ballinsasloe Specialist Training Programme in General Practice. She has a broad range of hospital experience and has a special interest in Women’s Health. As well as routine women’t health including cervical smears and ante natal care she offers long acting contraception device insertion. The 2018/19 influenza vaccine is now available from Kilmacud Medical Centre. If you are over 65 or suffer from any chronic illness you should consider getting the vaccine. The vaccines is free if you have a medical card. Another “at risk” group who should have the flu vaccine are pregnant women. Pregnant women are more likely to get complications due to changes in their heart and lung function. They are also more likely to be admitted to hospital and the Intensive Care Unit. Getting flu in pregnancy may also lead to premature birth, lower birth weight and even stillbirth. There is evidence that the vaccine reduces the rate of stillbirth by over 50%. Infants under the age of 6 months have the highest rate of hospitalisation and death from influenza. The vaccine itself does not contain any active virus and so contrary to popular myth it is not possible to contract influenza infection from the vaccine.If you are registered with the practice just phone us on 01-2881550 for an appointment to have the vaccine. . The General Data Protection legislation comes into effect on May 25th next. This practice has always been fully compliant with data protection regulations and we will be making the changes necessary to comply with the new regulations in advance of this date. Our revised privacy statement will be posted on this website and a hard copy will be available for you to read if you prefer. 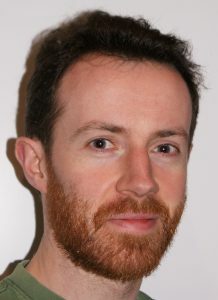 We are delighted to have Dr Gavin Keane join our team of GPs from July 2017 to July 2018. Gavin qualified from the Royal College of Surgeons post graduate entry programme and then joined the TCD/HSE Vocational Training Programme for General Practice. He has a wealthy of hospital experience having worked in both St Vincent’s and St James Hospitals and in a former life was a journalist working with RTE and a number of other media outlets. As you will know from attending the GPs in Kilmacud Medical Centre, we strive hard to keep our antibiotic prescribing to a minimum. Current evidence suggest that there is no point in prescribing antibiotics for simple coughs, colds, sore throats and flu like illness. We are facing a huge increase in antibiotic resistance in the world today largely due to inappropriate use of antibiotics. Restricting antibiotic use to a limited number of serious infections can reduce the spread of antibiotic resistance. Scientists however are fighting back in the battle against antibiotic resistance and news emerged today that modifications to an old antibiotic called Vancomycin has proved very successful. The drug is now considerably stronger than it was and is now active against many bugs which previously were resistant to it. Scientists conclude that it may be possible to make similar changes to other older drugs which have recently proved ineffective against resistant strains of bacteria. Click here for more information on this topic. Meningitis B – the vaccine (Bexsero) protects against the majority of strains of a bacteria called Neisseria Meningitidis B which is the leading cause of meningitis in Ireland. The vaccine is given into the baby’s left thigh at 2 months, 4 months and again at 12 months. Common side effects of this vaccine include fever, soreness at the injection site, rash, irritability and crying. Because of the high incidence of side effects, it is recommended that your baby receives liquid paracetamol (Calpol) in the surgery at the same time as the vaccine is given. This will not be necessary for the final dose at 12 months. For babies who develop a high fever, this is likely to occur within hours of the vaccine and reach a peak at about six hours following administration. It then decreases over the next 24 hours and most will be gone completely 36 hours after the vaccine. The liquid paracetamol dose for most 2 and 4 month old babies is 60mg which amounts to 2.5ml of the standard infant Calpol preparation (120mg/5ml). The dose can be repeated 4-6 hours after the administration of the vaccine and a further dose can be given 4-6 hours later again if necessary. Rotavirus – the second new vaccine protects against a virus which causes diarrhoea and vomiting in babies and your children. The infection is very rarely fatal in this country but it does lead to a significant number of hospital admissions every year. The vaccine is given in liquid form into the baby’s mouth from where it is absorbed and stimulates immunity to rotavirus. 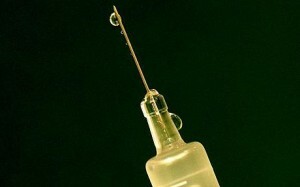 In the new programme it will be given at 2 months and 4 months at the same time as the other vaccines. The main side effects of the rotavirus vaccines are diarrhoea and irritability. Because it contains a live virus, caution is advised if there is a family history of diseases which affect the immune system. If you or your partner’s family have a history of immune deficiency or if any members of your family required a bone marrow transplant, please let us know before the vaccine is given. Another rare complication of this vaccine is Intussusception. 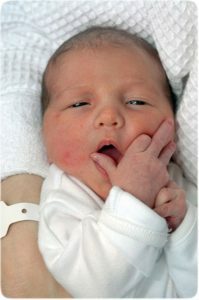 This is a rare condition where the baby’s bowel can become blocked. It is thought that for every 100,000 first doses of rotavirus vaccine given there will be only two extra cases of this condition. The 2016/17 influenza vaccine is now available from Kilmacud Medical Centre. If you are over 65 or suffer from any chronic illness you should consider availing of the vaccine. If you have a medical card the vaccine and administration is completely free. The vaccine itself does not contain any active virus and so contrary to popular myth it is not possible to contract influenza infection from the vaccine. If you are registered with the practice just phone us on 01-2881550 for an appointment. A vaccine is now available to protect adults and children against most strains of Meningitis B. This bacteria is the commonest cause of Meningitis and Septicaemia in Ireland with an average of 80 new cases per year. The vaccine can be given from 2 months of age onwards and like most other vaccines requires 2 or 3 administrations in order to be effective. There are some side effects and it costs around €110 per dose. If you like to find out more please discuss with either our practice nurse or GPs.